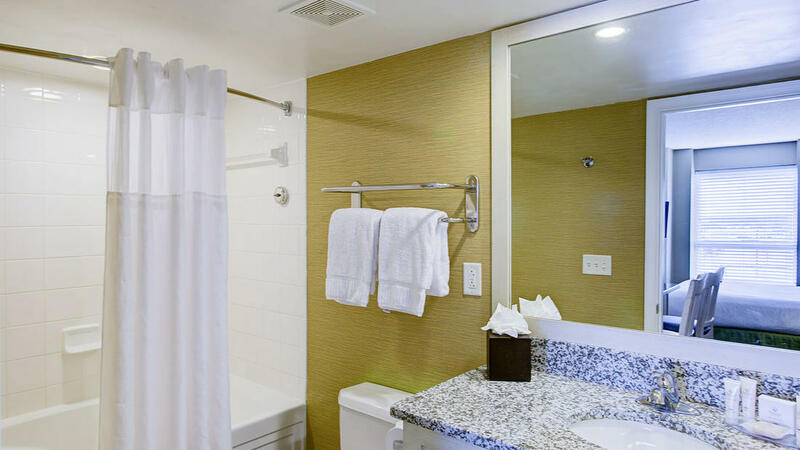 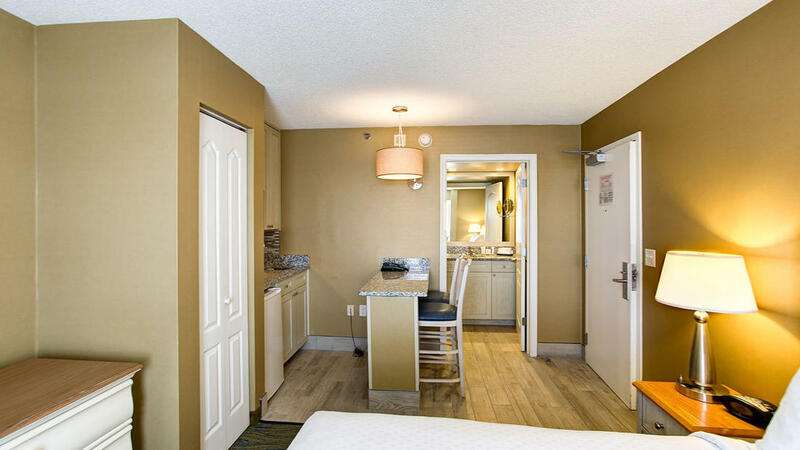 The Studio boasts a cozy atmosphere without compromising on spacious comfort. 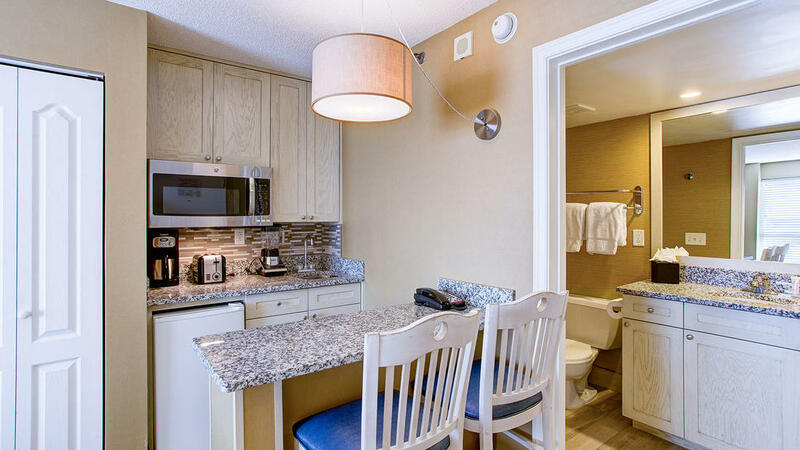 This Virginia Beach home away from home features a plush full-size bed and a well-appointed kitchenette that affords the convenience of light snack storage, and quick and easy meal prep with a mini-refrigerator, microwave and coffee maker. 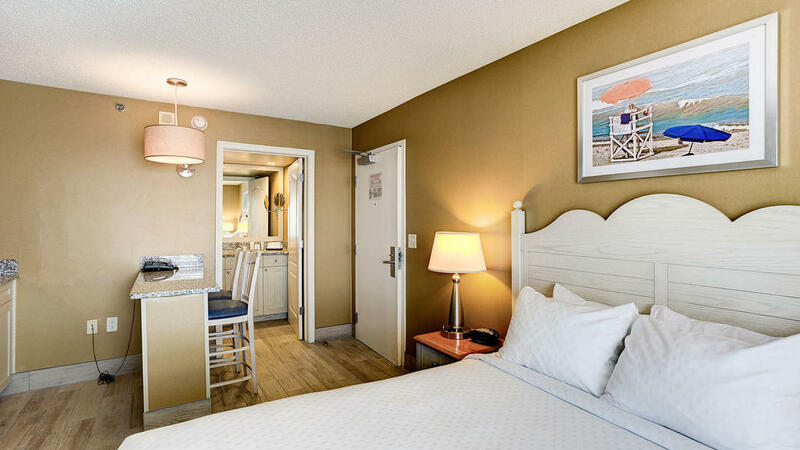 Wake up to a freshly brewed cup of coffee and enjoy a leisurely morning before setting out to explore all that this family friendly destination has to offer.